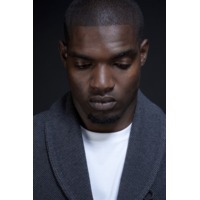 Joseph Ellis (born 19 October 1987) is an English rapper/producer born in Stockwell, London, England, better known by his pseudonym Dot Rotten. Having released a series of mixtapes independently, Ellis was signed to both Mercury Records and Takeover Entertainment in April 2011; releasing his debut single "Keep It On a Low" on 4 November 2011. On 5 December 2011, the BBC announced that the rapper had been nominated for the BBC's Sound of 2012 poll. Dot's inspiration ranges from Timbaland and Lil Wayne to Bob Marley and Jamiroquai. Born Joseph Ellis, Dot Rotten began rapping at the age of seven; using an Atari model as a basis for music production. Under the guise, Young Dot, Ellis released his first mixtape as a rapper during 2007, entitled This Is The Beggining. The following year saw Ellis abandon the moniker and adopt a new guise, Dot Rotten. The change in name succeeded a farewell mixtape, R.I.P. Young Dot, which was released on July 14, 2008; which in itself succeeded a six volume mixtape, Rotten Riddims - which was made available as a digital download from June 1 - July 7.